In this thread, you can apply to have a reserved "character" in the upcoming NRP Campaign. Characters can be anything from footsoldiers to generals, and will be woven into the narrative/lore if they perform notable deeds during the various Battles. 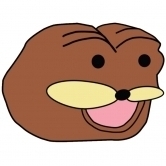 For example, if someone achieves a great KDR or performs a heroic clutch their character may be noted in the narrative for doing so and may have further opportunities presented to them down the line in the form of influence over their chosen faction's direction. Characters can simply be called what you're usually called on NRP; Applications entirely optional. A character is more of a reserved slot in the Narrative and Faction over anything else. - Characters cannot be replicas of Admins/Real Life Figures (real-life figures with altered names are fine). Each faction has specific tags for each type of character. These should be worn during Campaign Battles. You cannot reserve any character type other than soldier or general. Initial leaders will be chosen by the staff. You can indicate what role you'd like to have in the "why do you want a character" section. 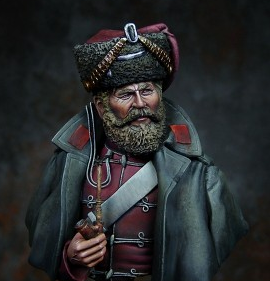 What kind of character do you consider: An accomplished and feared officer of the Totenkopf skull hussars, serving as the Faction leaders personal bodyguard and commissar for the faction. Purpose is to be the personification Prussian military tradition. What kind of character do you consider: Florian was born a nobleman of aristocratic pedigree in the mountains of Styria. From an early age, he was skilled in the art of horsemanship, able to exert control over any type of horse - stallions, mustangs, chargers -- even Khergit women and Daisy Ridley. As such, he was commissioned as an officer in the Austrian army by the age of 12 (a move which attracted attention from international human rights groups campaigning against the use of child soldiers). By the age of 16, he was a highly renowned officer of horse, and it is rumoured that he made love to a different woman after each of his meals. Given his experience with handling a very long pole, he opted to become a lancer. During a peasant revolution in a T*rk-populated area of the empire, he used his lance as a skewer, turning Kebabs into literal shish kebabs. By the time this campaign rolls around, Florian was firmly established in the annals of Austrian martial history as a dashingly handsome and frighteningly effective cavalry officer and lancer, even with ambitions to use his popularity to gain control of the Empire's throne. However given that the outcome of such a coup attempt is unclear at this time, it should for now be recorded that Florian is merely a heroic horseman and master of the lance. Whilst the official story is that Florian lost his eye in battle, he maintains this is untrue, as that would imply his martial skills lack. However, amongst the ladies of the realm, there are rumours that his eye was lost due to an incident involving Florian's own renownedly-huge "seminal lance"
What kind of character do you consider: Artillery officer. Helmet watches over the battlefield and relays information to other officers. 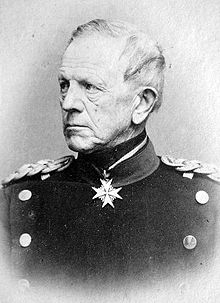 Helmet von Moltke was born into a prominent military family in service to a foreign King and he was trained in the military arts almost as soon as he was able to walk and talk. At the age of twelve he was enrolled in a cadet school where he quickly worked his way up the ranks and became the commander of all cadets in the school. Upon graduation he joined the Prussian Army, where he was commissioned as a second Lieutenant. Despite a drunken brawl in the town of Wootz that led to the entire village being burned to the ground, Helmet was swiftly climbed the ranks and became an integral part of the Prussian high command. What kind of character do you consider: A palatine noble from a minor branch of the Wittelsbach family, which is called "von Docteur". I decided that the austrians have not only failed their own country and people, but also their duty as emperors and as rulers of germany. He is a nationalist who wants a united germany, for which he sees the prussians as his best hope. He joined the prussian military after the palatine annexation by france and became a Landwehr officer of the rank "Oberst Leutnant" after completing several engagements as Leibhussar and being given command of a regiment, however due to being of lower rank than the supreme commander of the Landwehr he is no officer in battle. He was named rightful heir of the Kuhrpfalz due to his noble birth and would likely be given his own princedom there, was france to be beaten in his lifetime. What kind of character do you consider: (Optional but helpful - What sort of character you want, what role you want to have, why you chose it, etc) Oleg is a russian with turkic ancestors born in Russian Empire. His family and himself was talented in riding horses, he learned riding a horse when he was 12. He got his first own horse when he was 10 but this horse was taken to battle by his older brother, and came back wounded. So he got his new own horse to ride when he was 15. He joined the military when he was 20. The horse he got was a Mongolian steppe horse which he rode into battle in the Crimean War when he was 22. He and his horse were injured during the war. Both of them survived but he didn't want to make his horses suffer in wars anymore so he decided to fight on food in the next upcoming war which was the January Uprising. Then he heard of the Polish uprising in Siberia but, Siberia was too far away, especially without a horse. But he heard of the Austro-Prussian war which was very very close to where he was at the moment. So he decided to join the war on the Prussian side since they stood by the Russian Empire during the uprising whereas the Austrians didn't. So he joined a Prussian regiment group nearby. So I might not be able to get in the server in the campaign day. What kind of character do you consider: General. Chincus as a rough man, drilled in many martial arts yet a firm alcoholic who spent most of his nights drinking with his soldiers. This however was during times of peace, with news on the street proclaiming an up and coming war with the Prussians, Franz decided that this would be his last chance at glory. 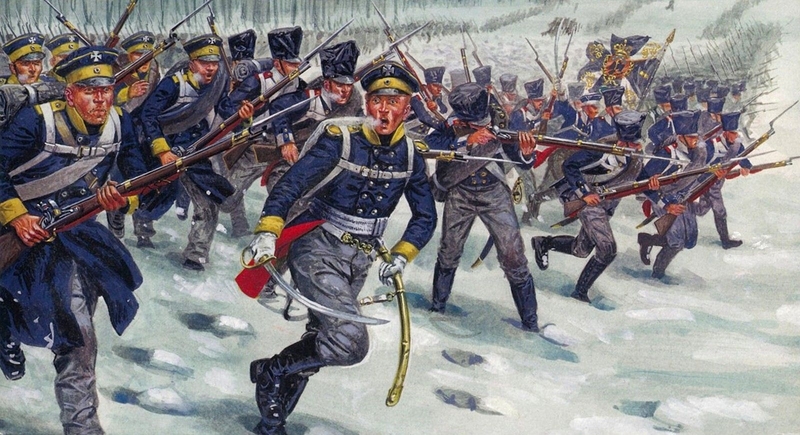 He soon whipped his regiment into shape and it was respected as teh best regiment in the Austrian army, he would lead it to victory and prosper. Herr von Wootz was the lord of his village, the young fellow was excellent at preparing bratwurst for his people. One day, however, an evil Prussiaboo known as Helmet von Moltke, the Elder set fire to the village when he was drunk off church wine. Herr von Wootz saw something in the fire, though... What's that? 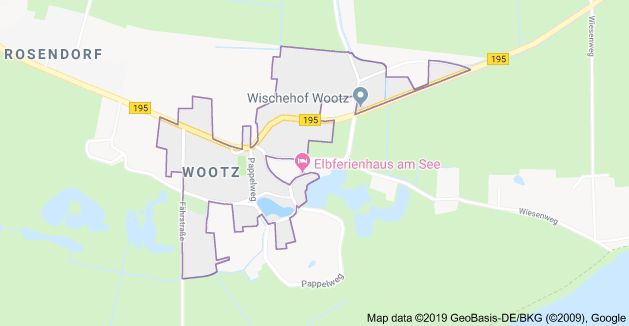 It's wootz! Now most of you reading this are too simple to understand so I won't get into specifics. The young bratwurst maker moved his talents to MALAGA and established his first church of wootz. It was there that he met and would tame LOS GORILLAS ESTAS Adrián de Toledo y Pimentel and Don Francisco. Pimentel and Francisco were both ghosts for some reason, Pimentel had sailed back from the new world, an old conquistador! as for Francisco he was one of the two Iberian slingers to fall in battle at Cannae. Fastforward ten years later and the hooligans who fight under the Prussian banner now invade Austria? This isn't good! Herr von Wootz rallies his Spanisher friends to battle! The Prussians will prove no match for the forces of wootz! Some even claim to have seen MECHAW00TZ watching from above! What kind of character do you consider: (Optional but helpful - What sort of character you want, what role you want to have, why you chose it, etc) Orlov is a russian mercenary who's really only in it for the money. He'd switch sides if the prussians paid him more. Furthermore, he's a brutal man in combat and campaign and shows no mercy to his enemies, as they're the only thing between him and his payment. orlov is satisfied with any troop, as his skill is unmatched by almost all that face him. All he asks for is opportunity to kill, whether they be prussian or austrian is no issue to him. What kind of character do you consider: (Optional but helpful - What sort of character you want, what role you want to have, why you chose it, etc) Heir of a noble named Diomedes I of Innsbruck ( soldier of an important noble ). Diomedes II Dioson is an experienced soldier of an important heir who wishes to fight for his country against the Prussians because he hates them. Diomedes II Dioson was borned in 1822. He fought in many wars but he is mostly experienced as a footguard. He also fought in the British-French-Russian war ( campaing 1 lol ) as a mercenary under the name of Otto_de_Idk, Otto_de_Adolf or just as otto. He was also a officer in his timeline making him experienced with tactics as he also was officer in a battle of the British-French-Russian war. He only fought for the british in that war. He was also involved in the Crimean war wich he fought on the side of the British Empire and French Empire under the name of Otto_de_Adolf. What kind of character do you consider: (Optional but helpful - What sort of character you want, what role you want to have, why you chose it, etc) Oleg is a russian with turkic ancestors born in Russian Empire. His family and himself was talented in riding horses, he learned riding a horse when he was 12. He got his first own horse when he was 10 but this horse was taken to battle by his older brother, and came back wounded. So he got his new own horse to ride when he was 15. He joined the military when he was 20. The horse he got was a Mongolian steppe horse which he rode into battle in the Crimean War when he was 22. After that he fought in the Russian side in the January Uprising. Then heard of the Austro-Prussian war which was very very close to where he was at the moment. So he decided to join the war on the Prussian side since they stood by the Russian Empire during the uprising whereas the Austrians didn't. So he joined a Prussian Dragoon cavalry regiment nearby. What kind of character do you consider: Born in Liège, Belgium he first saw combat in The First Battle of Oberschleisien. one of the greatest military powers. He hoped to learn a lot from them to later serve his own fatherland. So he joined the 3rd Kurmarkische Landwehr-regiment as a ranker.